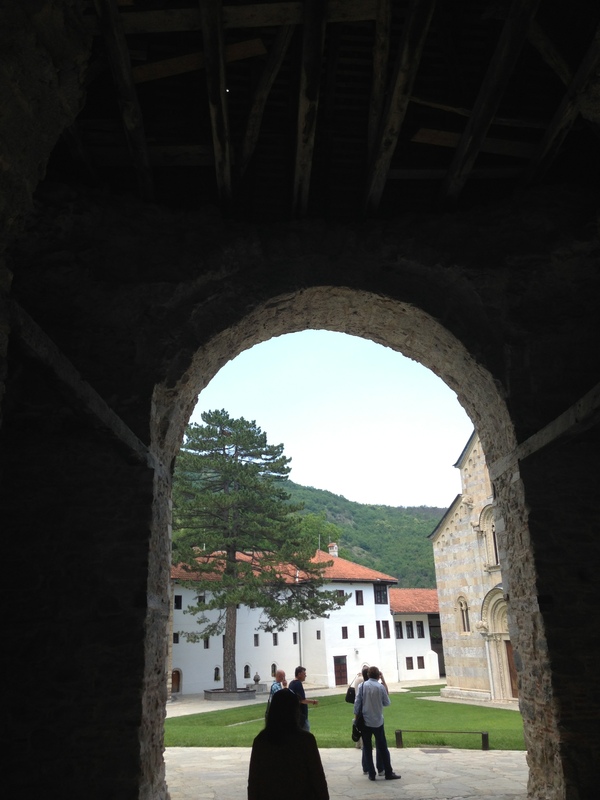 On the way home from Junik, MD suggested we stop and visit a well-known monastery, Visoki Decani. 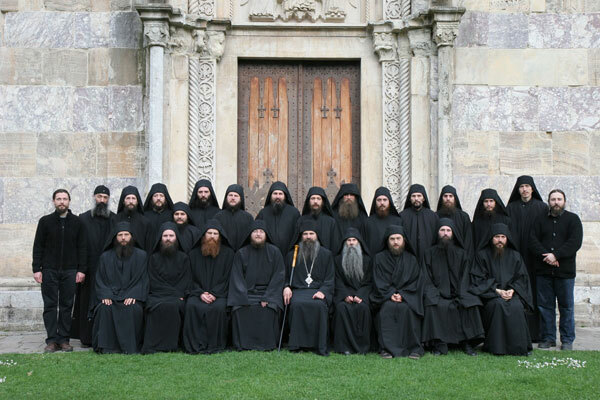 It is a Serbian Orthodox monastery, and due to the potential for violence or damage from ethnic Albanians, it is under the protection of KFOR (Kosovo Force, a NATO-led international peacekeeping force). 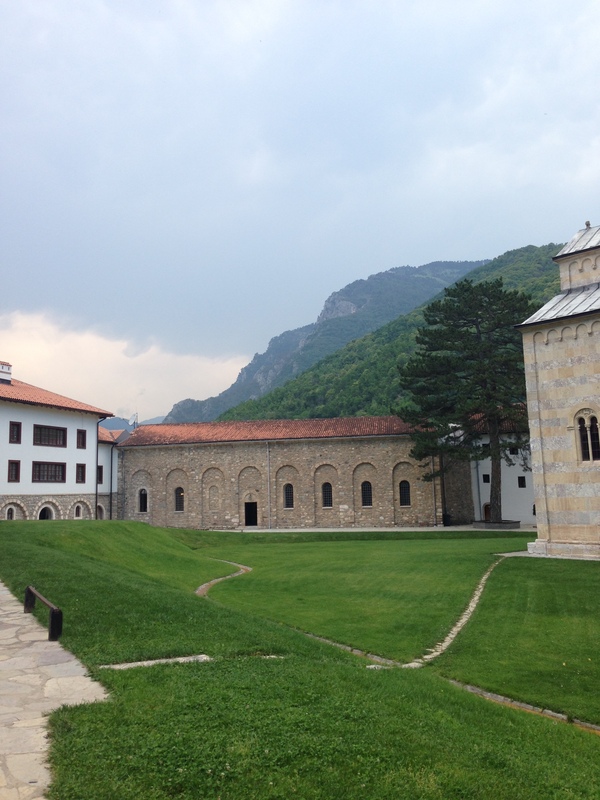 The monastery was incredibly peaceful and beautiful. 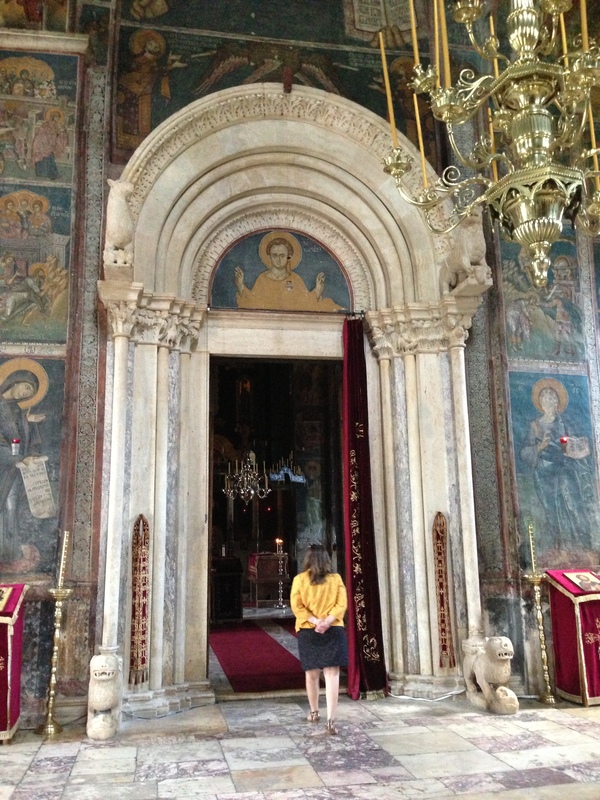 The church was not damaged during the conflict, and has hundreds of frescoes (I feel fancy using that word, but that’s what they call the paintings inside on the walls.) 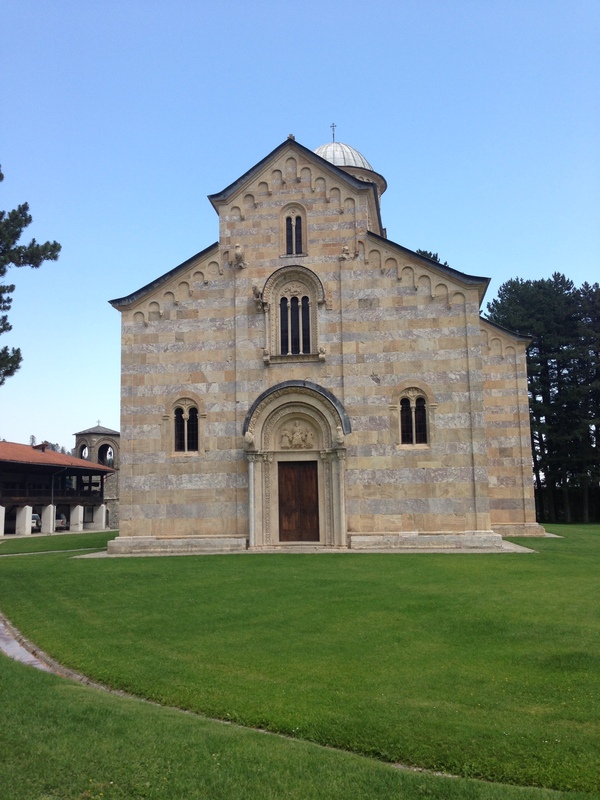 Although visiting hours had just ended, the security guards allowed us to go inside, and one of the monks gave us a tour of the grounds and the church. 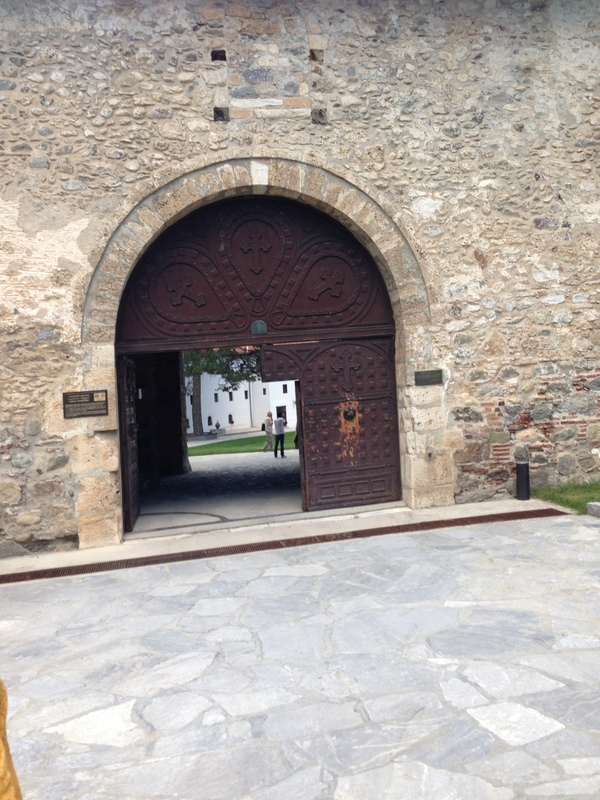 This is the original gate entrance dating back to the 14th century. 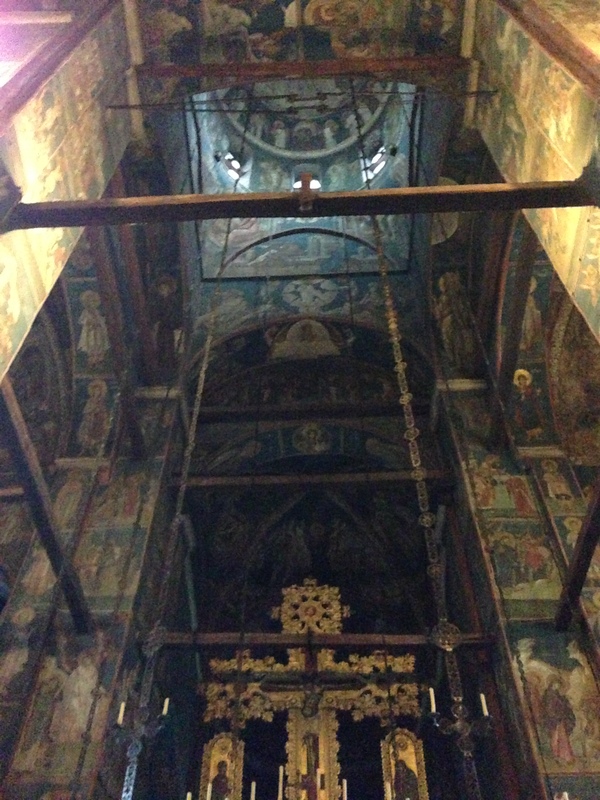 Tour of the inside of the church. 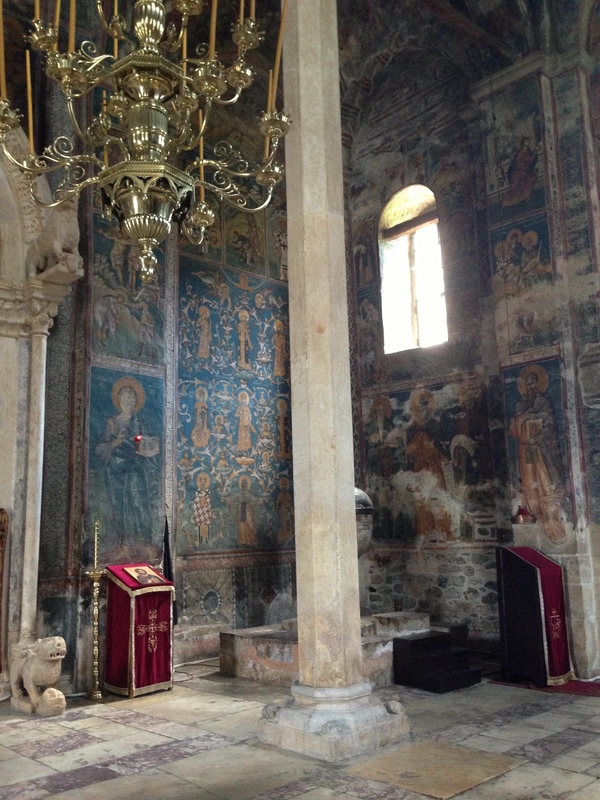 The paintings covered the walls, top to bottom. 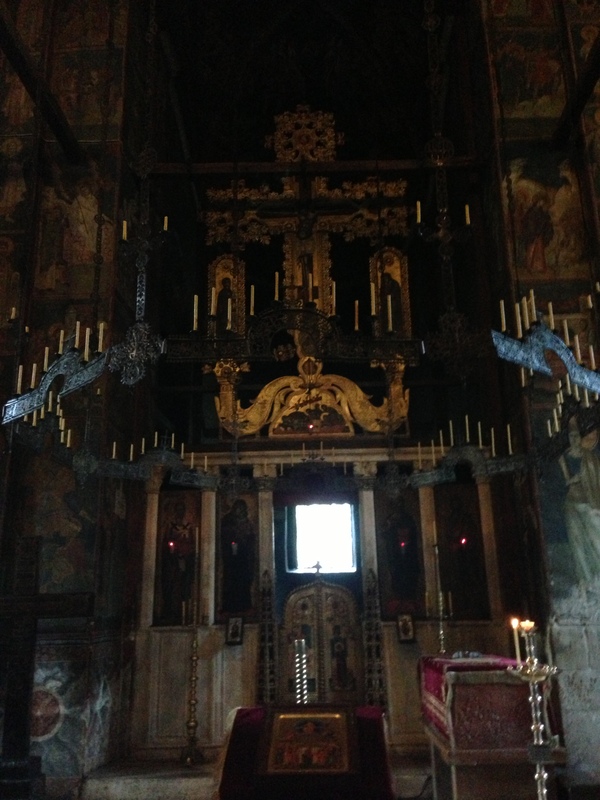 Although the church was looted many times, the building itself has been preserved. 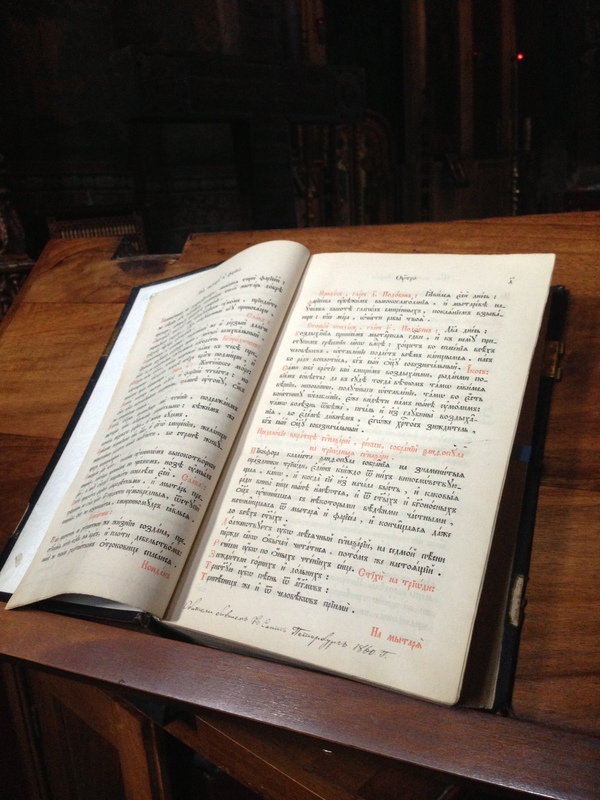 He showed us a book from 1860 that is still used during the weekly services. As we were leaving, I was happy to see they had signs pointing to a W.C. (W.C. = water closet, or toilet. The entire time I was studying abroad in Austria I thought W.C. meant waste closet, which is really basically the same thing.) 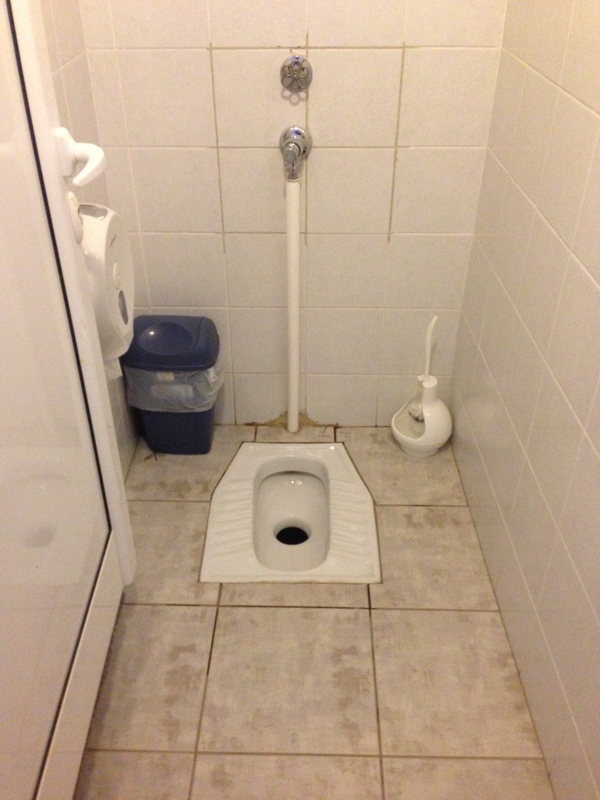 I’ve had pretty good luck with public restrooms so far in Kosovo, which should have been a sign to me that my luck was sure to run out. Of course I took a picture to show JR what an adventurer I am. It seems like poor form to end this post talking about toilets, when it was a really lovely visit. So here’s a final picture from the grounds looking at the mountains.